چنیں پرستار: No way, he just make a cute couple WITH ME! Who do آپ think the song "I'm sorry" is for? would آپ شامل میں my new club about jonas brothers and demi lovato ??? People say that the best way to put yourself at ease during interviews with شخصیات مشہور is to imagine them in funny situations. Blame it on that unforgettable 2009 video of a shaggy-haired Joe Jonas booty-shaking to Beyonce’s “Single Ladies” in leotards and pumps, but I’d been expecting to meet a goofy teenage boy for my one-on-one interview. Boy, was I ever wrong. Joe confessed that shoe are his addiction, saying "I love shoes [...] I have a thousand pairs of sneakers." He also said, "Every time I دکھائیں my closet, I feel embarrassed because there are so many clothes in there that I feel like, it's hilarious. Great fear for the Jonas Brothers in the last 48 hours due to an illness of Joe Jonas. In fact, Joe was hospitalized Sunday, December 19 due to severe stomach pains, accused after a party with دوستوں at a nightclub in Chicago.! The picture which will be featured on the first page of Joe Jonas' upcoming solo studio album "Fastlife" has been unwrapped. It depicts a close-up image of the Jonas Brothers سٹار, ستارہ looking sharp in a plaid شرٹ, قمیض and dark-colored jacket. Blurry lights and colors are featured on the background. No. That’s not about her. When I write songs I don’t say who they are about because I don’t want the audience to relate to what was going on with me when I wrote it. آپ say one thing and it becomes a big rumour. 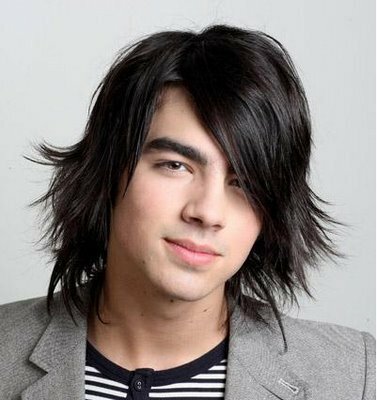 No breakup of a relationship is easy: Joe Jonas is still trying to repair the wounds of his دل after the end of his affair with the beautiful Twilight سٹار, ستارہ Ashley Greene. Okay, so we were obviously completely happy for Joe Jonas when we heard that he snagged a ٹمٹم, gig, لٹو opening up for pop legend Britney Spears on her European tour, but here’s the news we’ve really been waiting for: Joe’s headlining tour dates. Joe has teamed up with جے Sean to co-headline a 19-city tour this fall. They’re hitting big U.S. cities including Boston, Chicago, New York and Los Angeles, so شائقین all across the country will have a chance to get out to the show. What is Joe's پسندیدہ animal?